For those of you just tuning in (welcome! ), I have been trying to shed my overpacking ways & for my Summer travels, I challenged myself to stick to a minimalistic "capsule" wardrobe. 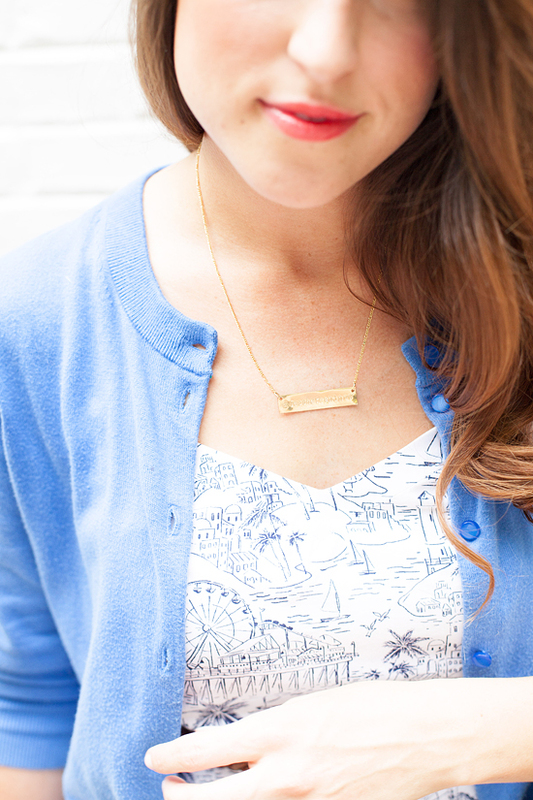 See what I packed in my Summer capsule wardrobe (10 foundation pieces that fit in a carry on!) 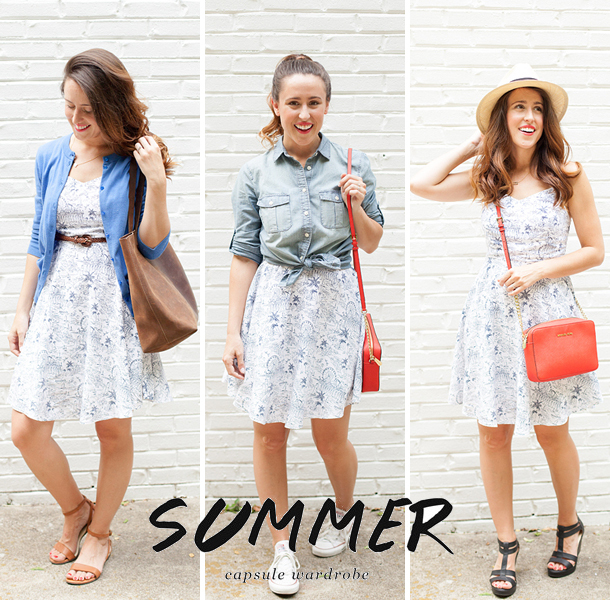 & check out all of the Summer capsule wardrobe outfits here. 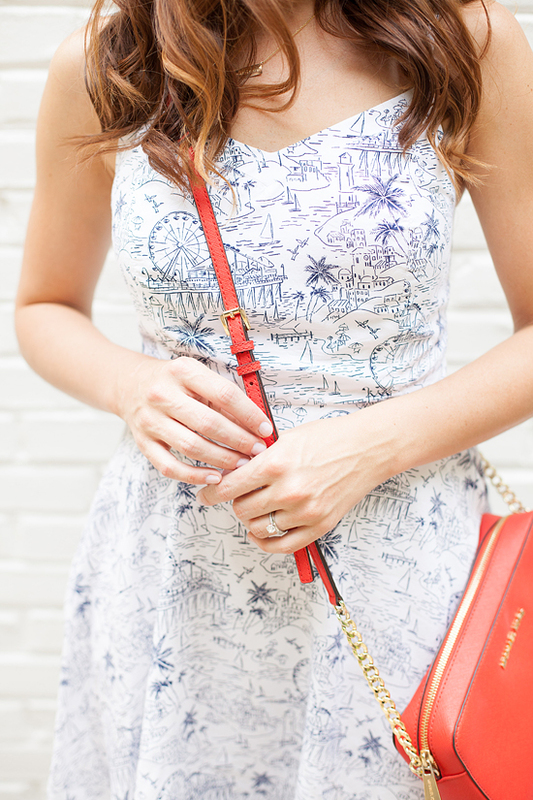 Today I am focusing on one of my favorite clothing shapes of all time - the fit & flare sundress! I used to approach dresses as very un-remixable, but somewhere along this style journey I found out that quite the opposite was true for me. Especially when on vacation, the weather can be more unpredictable than what you are used to at home, so I am thankful that this style of dress easily allows for the addition of more layers (cardigan, or button down to give it a skirt look) + looks equally polished with both flats & heels. 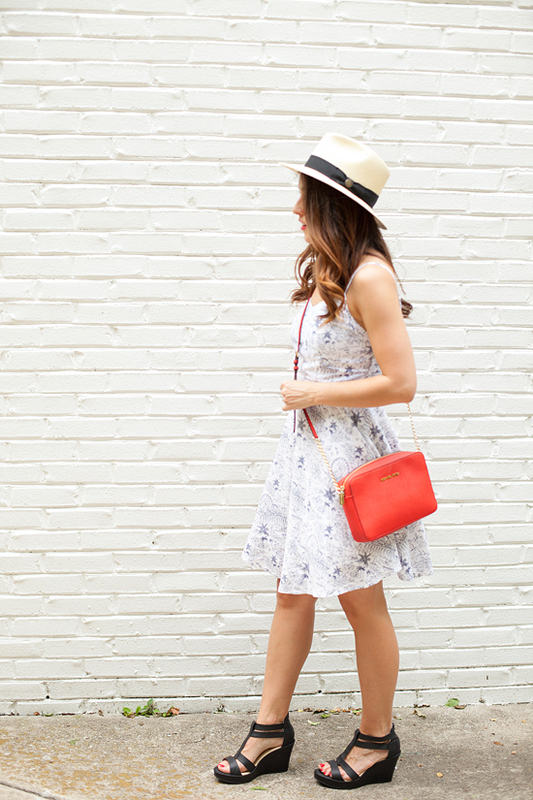 Looking to mix up your Summer sundresses even more? Try adding a jean jacket & lightweight patterned scarf for cooler evening temps or if you are into pattern mixing, then a different print button down top would be fun knotted over the dress (I'm imagining gingham with this dress - just ordered this pink gingham check top from J.Crew Factory & will update you with how it works!). 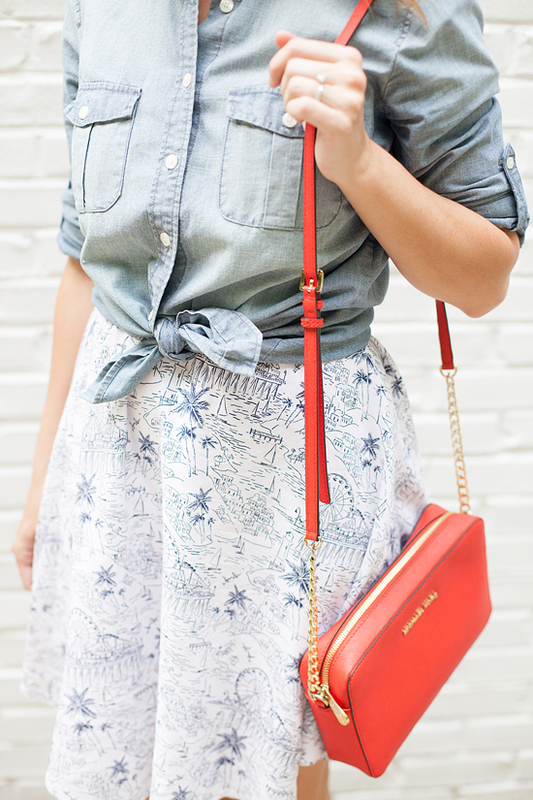 What is your favorite way to remix dresses? Which look do you like the best from my 3 outfits?